Continuing our coverage of CES 2018, today I will be providing a rundown of all the new products unveiled by HP, Inc. at the annual consumer electronics show in Las Vegas. You can see all of our analyst’s CES 2018 content here. HP is now the #1-unit market share leader in PCs and printers and has been in the business since Compaq incorporated in 1982. I am always interested to see what new products the company is bringing to the consumer market, particularly their premium lines, as the company has seen a meteoric rise in their popularity. Here are my analysis and opinions of all that HP covered. 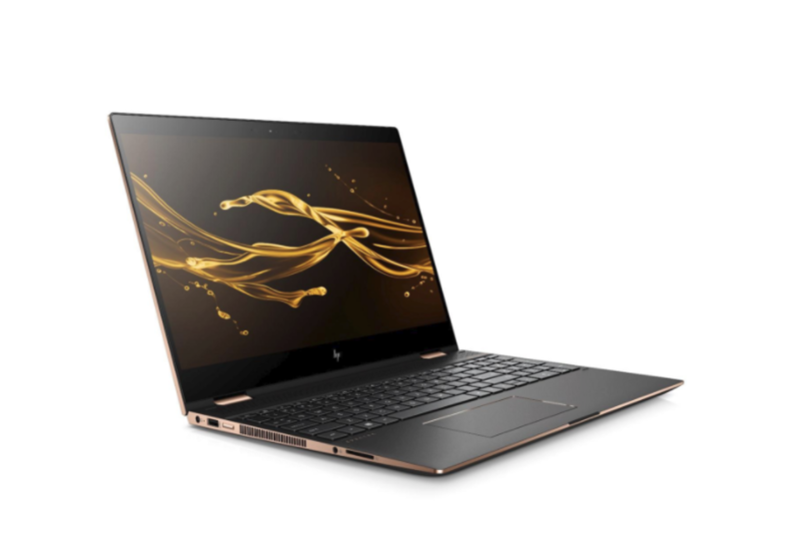 Perhaps the biggest announcement from HP at CES 2018 was the unveiling of the Spectre x360 15 2-in-1, which the company is hailing as “the world’s most powerful convertible PC.” HP Inc. says that this laptop is geared towards “creative enthusiasts,” and optimized for highly-intensive workloads and streaming/creating 3D and 4K content. While HP did not talk about gaming, it sure seems like it would be a good gaming machine. On paper, the x360 15 looks like it packs a punch—users can choose between an 8th Gen Intel Core i7 8705G processor with Radeon RX Vega M graphics, or Quad core 8th Gen Intel Core processors with NVIDIA GeForce MX 150 graphics. My recommendation is to spend $100 more and get a lot more GPU performance with Radeon RX Vega M. I am assuming HP did the MX 150 version to hit a lower price and also performance point. I am very excited about the new Intel processor integrated with Radeon RX Vega M graphics as I believe it can create a bit of a sub-market- super-thin notebooks with very high-performance, discrete graphics. Most notebooks in this graphics performance class sound like airplanes taking off and have power bricks that are literally the size of a brick. You can find more about the processor here from Anshel Sag. The 4K UHD display looks great—it sports a thin-bezel, 15″ touch screen, is scratch-resistant with Gorilla Glass 4, and comes with an optional HP Tilt Pen for design/creative purposes. Its angular, aluminum design (offered in Dark Ash Silver with Copper Luxe accents) exudes “premium,” and the company says the Bang & Olufsen speakers are 60% louder than its predecessor. Its reported battery life is also commendable—up to 12 with the dual-core option, and up to 13.5 with the Quad core version. 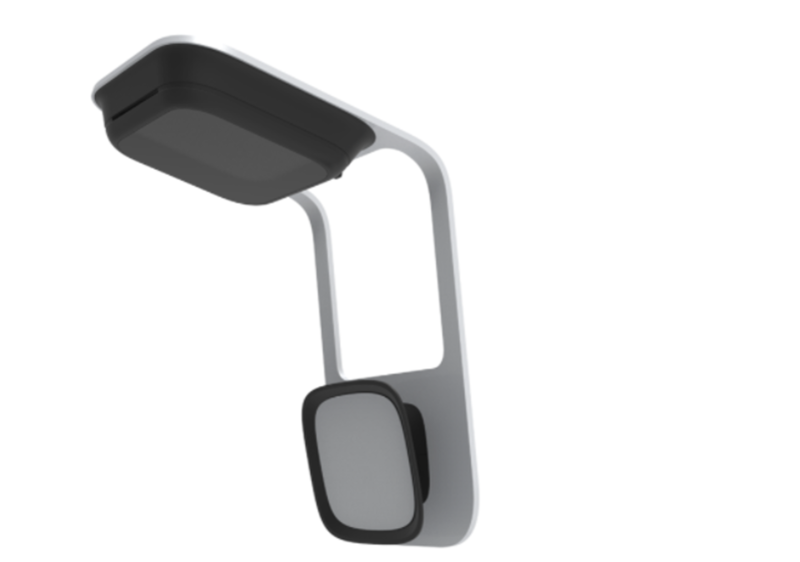 The unit also supports “fast charging” and will provide 50% charge in 45 minutes. Impressive. HP also added a numeric keypad and moved the touchpad to the left which, at first, threw me, but I really appreciate having a keypad on my desktop at home and think users would here, too. To top it all off, it features biometric authentication options—an IR camera that supports Windows Hello facial recognition, and a side fingerprint reader to work well in notebook and tablet mode. If you were wondering, the webcam is on the top of the chassis, not on the bottom on some premium notebooks. Bottom webcams highlight my chin way too much. In short, this device looks nice, sleek, powerful, versatile, and secure. I really appreciate the gradual yet meaningful improvements the team has made to this platform. 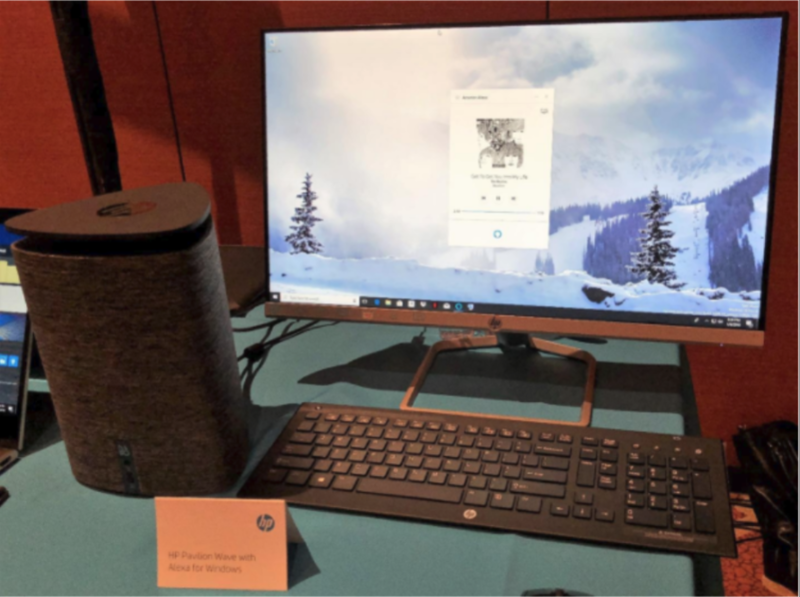 I got a chance to see HP’s Connected PC with the Qualcomm Snapdragon 835 at Qualcomm’s technology event in December and at CES 2018, HP Inc. launched the ENVY x2, an “Always-Connected” PC with an overclocked (6 watt) 7th Gen Intel Core Y-Series processors. 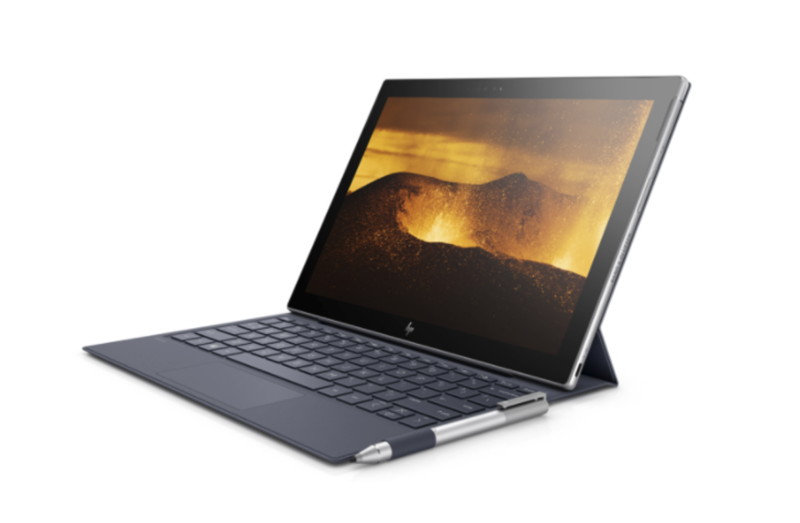 HP, therefore, has an Intel and a Qualcomm flavor of a Connected PC. Isn’t choice grand? HP says the ENVY x2 lasts a respectable 17 hours of battery life watching video and can charge 90% in 90 minutes, a differentiator when it comes to “always-connected.” The unit features a 12.3-inch touch display, a backlit keyboard with 1.3mm travel, a Windows Ink pen, and an adjustable stand that allows users to toggle between laptop, reading, and tablet modes. In addition to Wi-Fi, the ENVY x2 features Intel XMM LTE modems for LTE-Advanced connectivity. The device appears to be sturdy, thin (7.9mm) and light (1.69 lbs. )—ideal for on the go users. I will have to take one for a spin before I can offer any sort of endorsement, but the ENVY x2 looks promising, and I am looking forward to comparing to the Qualcomm unit in “spring 2018” when it becomes available. You can read about my thoughts on “connected PCs” here. In the desktop PCs, HP Inc. introduced the new HP Pavilion Wave, a desktop computer engineered for voice interaction with native Amazon Alexa for Windows 10. Designed around an advanced audio system, HP says the Pavilion Wave is ideal for productivity and multitasking—you can use it to play music, watch movies, set alarms/timers, manage your connected devices, and much more. The computer utilizes Intel’s Smart Sound Technology, which allows it to “hear” voice commands from all angles. One cannot help but wonder what this means to Cortana. Hopefully, she will not get her feeling hurt. I am excited to see that the Wave optimized for far-field voice capabilities with Alexa, but haven’t tried it out myself, so I cannot really judge the experience. At a minimum, I would expect the Wave to provide a larger Echo Show experience plus, of course, the PC experience. I am hoping HP gave the Wave PC Alexa superpowers as Wave likely has 100X the performance of an Echo Show. I would also expect Wave to have more accurate voice reception given its larger than an Echo or Wave and surface area is important when tuning mics. HP Inc. also announced the new HP Z 3D Camera at $599 for OMENs, Z desktop workstations, ZBook mobile workstations and the Spectre 15 x360 (2018) , which the company says will “empower visual and physical design experiences for digital creatives,” by allowing them to create realistic 3D digital images from real life objects in the physical world. I see this as being a great tool for the likes of game developers and CG artists. The camera even has SLAM tracking- very cool. The camera can construct virtual 3D models in real time from real objects, while the object is either rotated with the user’s hands or placed underneath the camera. HP says the Z 3D Camera will essentially bring the capabilities of HP’s Sprout workstation to the PC which I think is a fair assessment. Sprout was an ambitious effort released in 2014 and broke new ground in 3D visualization and workflow. Sprout was then refined in 2017 and targeted commercial use cases, something I thought was the better target market. I am glad to see Sprout live in a peripheral you can add to other PCs, well-integrated into standard Windows 10. 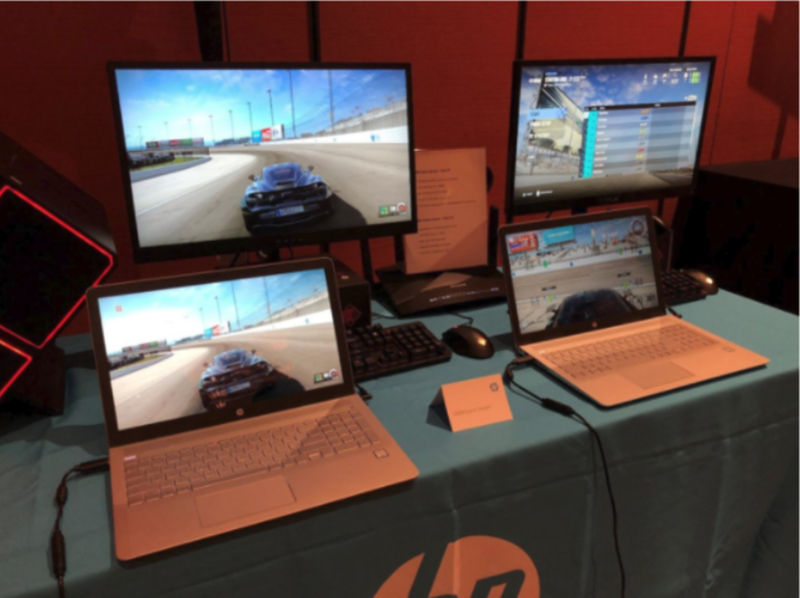 Over the past two years, HP has been investing a lot into gaming usage models, products, and markets. You may be familiar with the OMEN Accelerator, OMEN X Laptop, and the OMEN X Compact PC. The OMEN Command Center came out in 2016 and added lighting control, performance dashboard, network booster and even overclocking. HP got a bit of a late start and are catching up fast, and to do that, the company knows it needs to bring something unique to the table. The new OMEN Game Stream is a connected cloud gaming experience available through the OMEN Command Center that allows users to turn their OMEN PC into a local cloud server and play games at up to 2K at 60fps on the go or anywhere in the home via any Windows 10 device, even a low-end one. I have always loved this concept as it minimized latency and let you play PC games anywhere. HP is committing to latencies of 7ms in the home and 35ms over WWAN best case scenario. This is a huge commitment by HP, and I hope it does well and I’m looking forward to trying it out myself and see how it is different from NVIDIA GameStream. 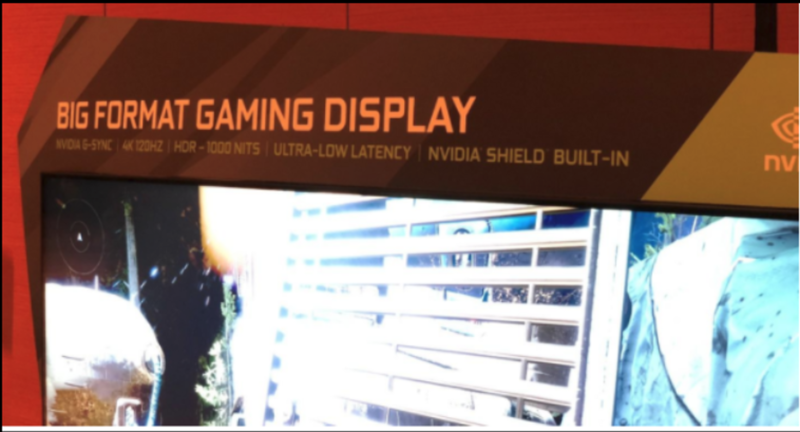 In addition to Game Stream, HP Inc. unveiled the OMEN X 65 Big Format Gaming Display (BFGD) with NVIDIA G-SYNC, a 65” huge, 1000 nit, 4K UHD HDR home gaming display. The display boasts “true” 120 Hz refresh rate, with ultra-low latency, which should provide amazing visuals and performance. HP Inc. says that this monitor is not just a one-trick pony—in addition to games, it is great for streaming movies, TV shows, and music. Well, the OMEN BFGD does come with an integrated NVIDIA SHIELD which means you get integrated game streaming via GeForce Now ($7.99/month) and movie streaming through services like Netflix and Hulu plus Google Assistant to control your home and Android apps. I am still thinking through this new device, to be honest, so I do not have strong feelings one way or another on it. I mean, it is cool for sure, but I have to think about where it fits into gaming, what it replaces and who will shell out the big bucks to buy it. There is no price yet by the way. Anshel Sag wrote a bunch on the BFGD here, and I wrote on SHIELD here. It was a more modest but successful CES 2018 showing from HP Inc., with a little bit of everything for everyone: mobile, desktop, cameras, gaming, huge displays and even voice home assistant Alexa. All of HP’s new offerings look promising, even though I need to think more about them, but I cannot wait to spend some quality, hands-on time with them. HP has been on a roll with their #1 market share position with a solid premium lineup, and I will continue to watch with interest as the products roll out this year.